Just yesterday BMW Designworks, the automaker’s creative consultancy, announced that it has been commissioned to design the chargers for Ionity, a consortium of automakers that banded together to develop a pan-European network of high-speed EV chargers. 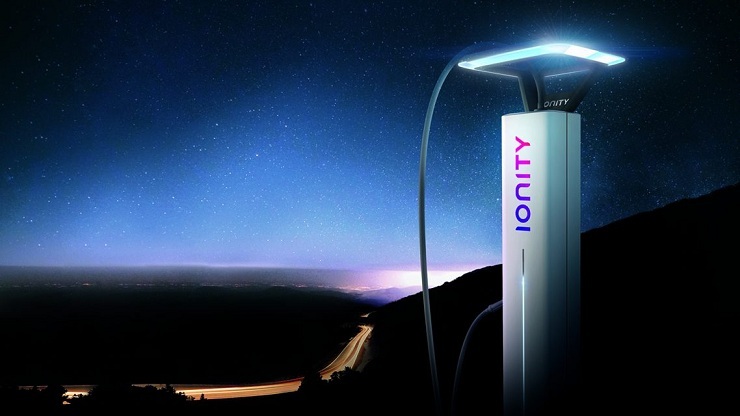 Ionity’s chargers will be built with the future in mind. The latest EV charging station utilizes the European charging standard “Combined Charging System” (CCS) with a charging capacity of up to 350 kW (HPC). It is compatible with both present and future needs of electric vehicles. Plus, the high-powered chargers reduce the waiting time in future. The 350kW output is more than twice that of Tesla’s 145kW Superchargers. Moreover, as planned, the stations will be located at a distance of 120 km from each other for the easy accessibility. The automaker’s creative consultancy, BMW Designworks, has recently released a futuristic design of EV charging station. Considering themes like innovation, customer experience, safety and design, the future of e-mobility emerges bright. “For selection of the design partner, our criteria included a comprehensive understanding of future mobility as well as experience outside of the automotive industry, competence in both analog and digital interfaces, pronounced intercultural expertise, and the ability to develop concepts with a view to future contexts,” says Michael Hajesch, CEO at IONITY. “In creating the first Pan-European HPC network, we are looking to give electromobility a boost toward a breakthrough in Europe. Design, with the tremendous potential it has to reach people and influence them in a positive manner, is a key factor for us here”, Hajesch added. BMW’s design mainly promises to make this technology friendlier to drivers, many of whom are likely to be first-time EV owners. Ionity (which includes BMW, Daimler, Ford and VW) hopes to have 400 of these stations up and running in Europe by the end of 2020.